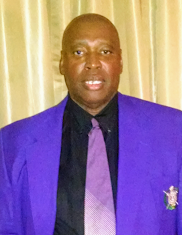 Obituary for Mr. Gerald Smith Costen, Sr. | William Toney's Funeral Home Inc.
Mr. Gerald S. Costen, Sr. age 63 of Castalia, departed this earthly life on Saturday, February 2, 2019. A mass will be held Saturday, February 9, 2019 at 10:30AM at Our Lady of Perpetual Help Catholic Church, Rocky Mount. Interment will follow at Spring Hope Memorial Gardens, Spring Hope. A visitation will be held Friday, February 8, 2019 from 3-5 PM, with the family receiving friends from 5-6 PM at William Toney's Funeral Home, Spring Hope. He leaves to cherish his loving wife: Mildred Costen of Castalia, NC; two devoted children, Gerald Costen, Jr. (Shahama) of Wilson, NC, Shirleyse Haley (Marcquez) of Lawrenceville, GA; three caring stepsons, Jabari Richardson (Vicky) of Raleigh, NC, Antione Alston (Vanessa) of Spring Hope, NC, Monta Alston (Kristen) of Dudly, NC; two committed sisters, Pamela Daniels (Joseph), and Jackie Dickens of Rocky Mount, NC; two sisters-in-law, Carol and Diane and two brothers-in-law, Steve and Lorenzo; one uncle, Gilbert Costen of Boston MA; two aunts, Marion Curry of Rahway, NJ, Joyce Brown of East Windsor, NJ, Margaret Costen of Piscataway, NJ; ten grandchildren, five nieces, one great-niece and a host of cousins, relatives, friends, and a group of “very close friends”.